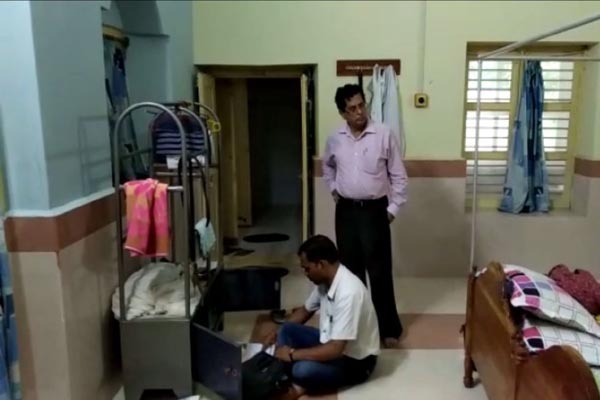 Berhampur: Vigilance officials today conducted simultaneous raids on the office and residence of Ghumusar DFO, Bijay Ketan Acharya, on the allegations of acquiring property disproportionate to his known sources of income. Special teams of Vigilance led by SP Mayadhar Swain conducted simultaneous searches at B K Acharya’s government quarter and office at Bhanjanagar in Ganjam district, his ancestral house at Andarpur in Cuttack, Patia and Sahid Nagar areas in Bhubaneswar. The raids by the officials of the anti-corruption wing were underway and several vital documents have been seized from his possession. on the allegations of acquiring property disproportionate to his known sources of income.